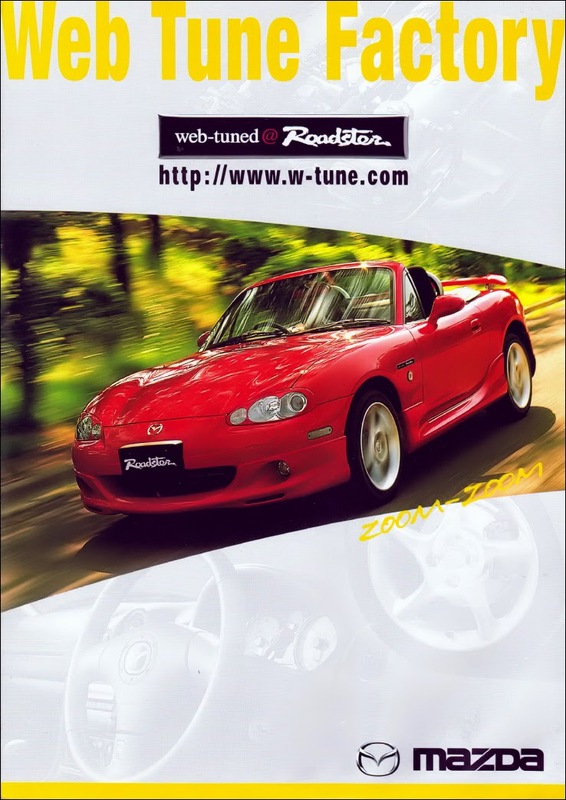 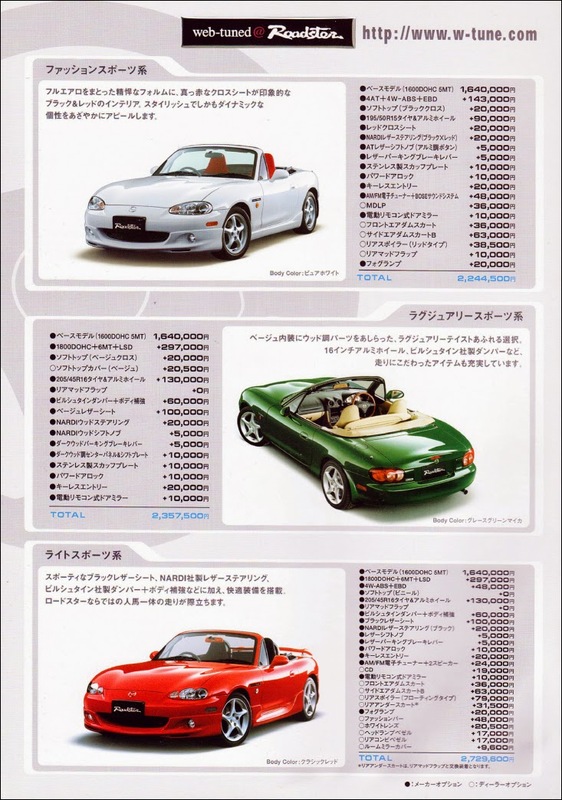 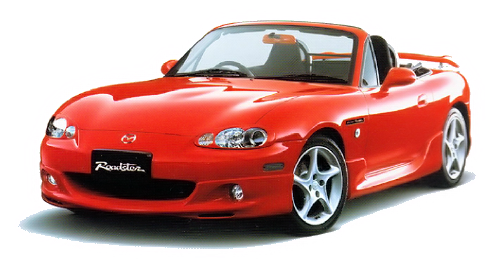 The Web-Tuned Roadster was an edition available through Mazda's "Web Tune Factory" online ordering system. 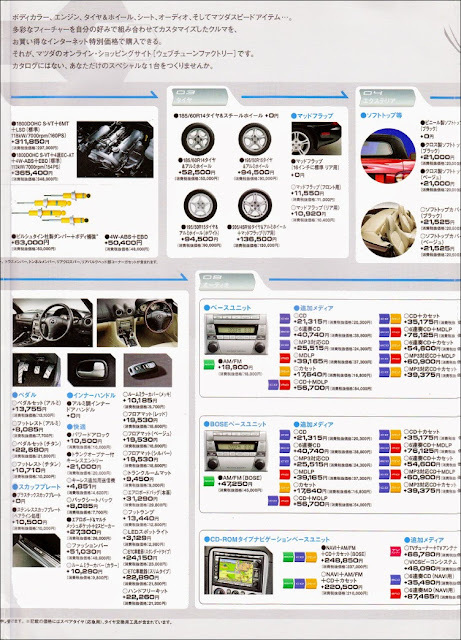 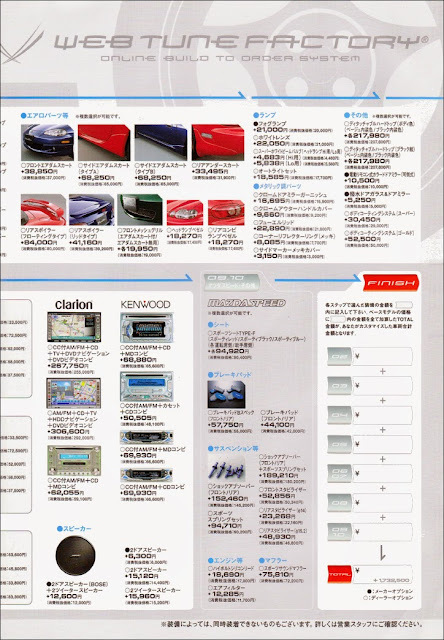 The site worked like an online shopping tool and allowed customers in Japan to place an order for a custom car. A variety of options and configurations were available that a regular model from a dealership wouldn't have. Interior colour combinations, stereo setups, aero parts, and choices of alloy wheels were all on offer. 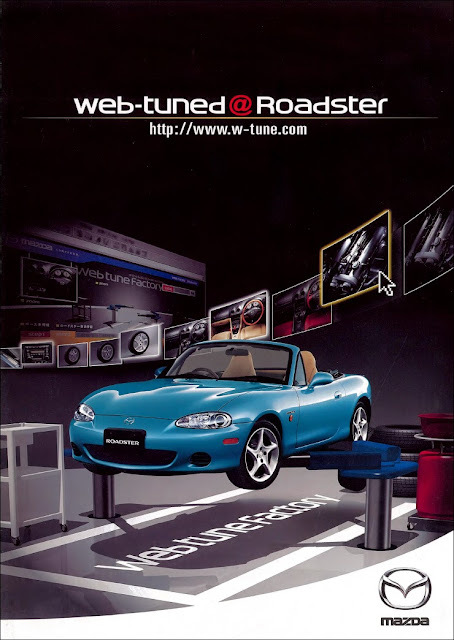 As such, there is no set specification for these cars other than they all wear the "web-tuned @ Roadster" badge. 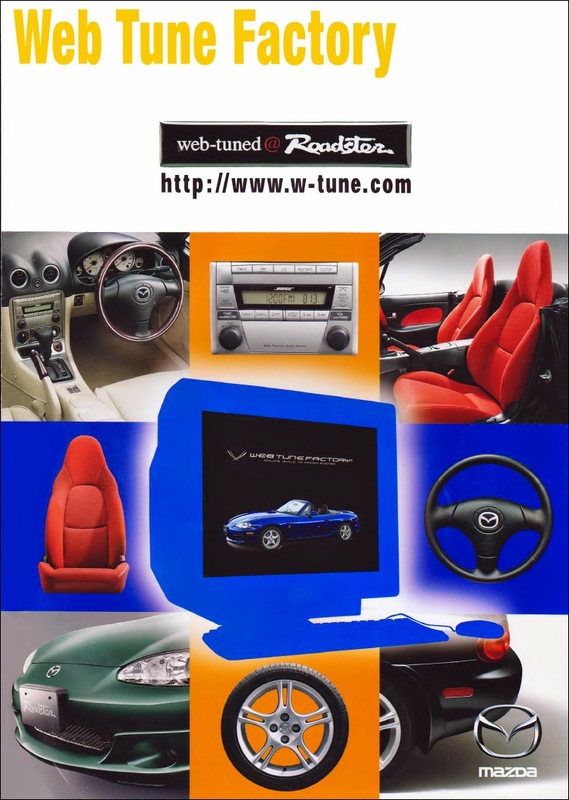 The Web Tune Factory website could also be used to order an NC model, but sadly from March 15, 2015 the site has been taken down. 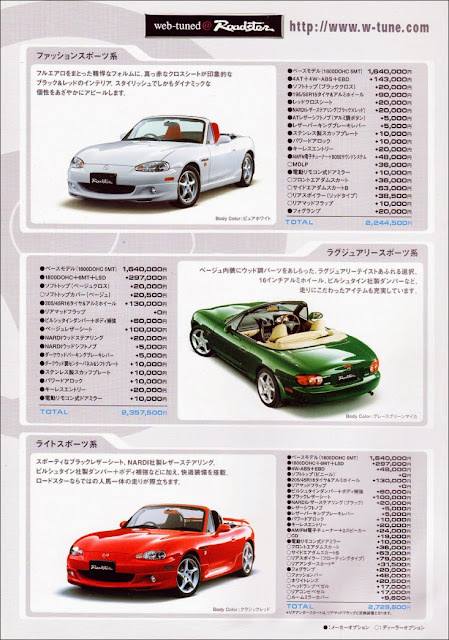 Although it could only be used to order a car from within Japan, it was still nice to play around with the options and graphics of the cars just for fun. 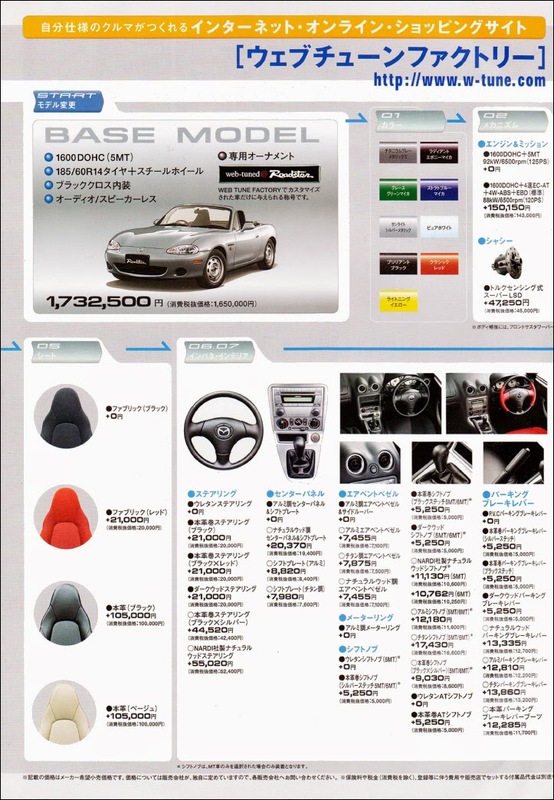 The site seems to have been phased out in favour of an alternative online price estimator and smartphone apps.